The Mansfield and Ashfield Newspaper, the Chad, will be running an article on Miners Gala’s in March’s “Chad Retro”. The Retro is a pull out section that looks back at issues in local history around the Mansfield and Ashfield regions. During the last year a photo of Kirkby Summit miners at the 1968 Miners Gala came to light (see K is for Kirkby Memorial). Also a local miner has some movie footage of the 1968 Gala which the MuBu Miner will be collecting in the near future. The MuBu miner has some footage from a 1977 Panorama Programme which features the 1977 Miners Gala with then Chancellor, Dennis Healey, being given a hard time by some of the Notts Miners during the speeches in the marquee. The parade, which used to be organised by the Notts Area of the NUM, assembled on Chesterfield Rd in Mansfield and marched to Berry Hill Park where the Notts Miners HQ was, and still is, based. The last gala took place in the early 1980′s. Jose Henriquez.one of the 33 trapped Chilean miners visited the region on Friday 28th January 2011 to talk about his and the other miners experiences of being trapped underground for 69 days in the copper mine. The meeting was held at the East Kirkby Miners Welfare, Kirkby-in-Ashfield, in the heart of the former Notts coalfield, and was attended by several hundred people. At the meeting Mr Henriquez met George Atterby, aged 82, a survivor from the Sutton Colliery Explosion in 1957. 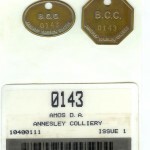 The NMMA was set up in 1996 by a number of mottie collectors based around the county. 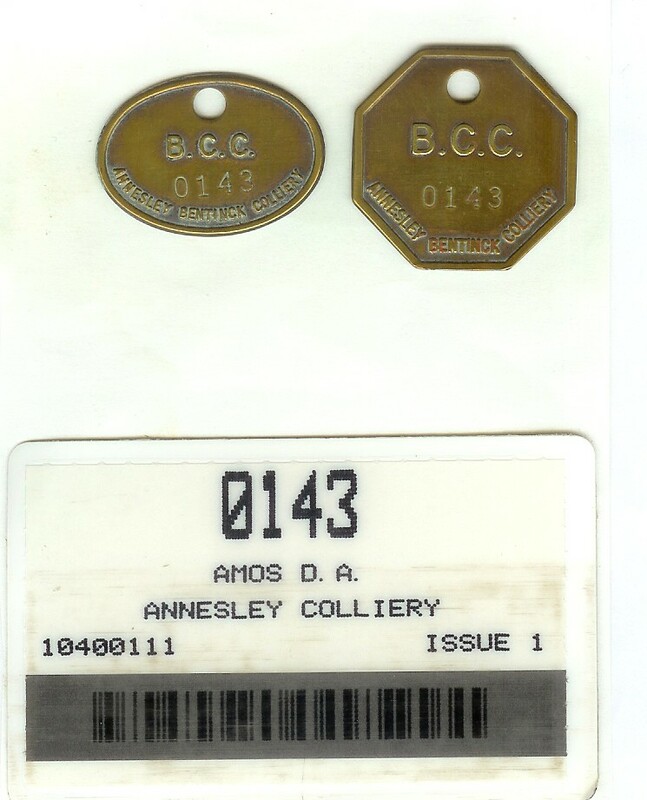 The reason for setting up the Association was to counteract the high prices being demanded by market traders for mining memorabilia in the aftermath of the demise of the coal industry in the 1980′s and 1990′s. The aim of the association is to promote trade and mutual interest between members. The main subject areas the NMMA deal in is pit motties, lapel badges, lamps and general coalmining memorabilia such as old helmets. The NMMA have regular meetings around the country and new membership is only £10 per year and includes an NMMA Badge. The next meeting is Sunday 6th February 2011 (10.30am) at the Milton Hall, Elsecar, South Yorks. S74 8ES. 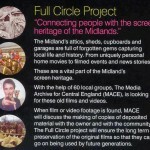 The Full Circle Project is looking for old movie footage from past times which can be copied into digital form. 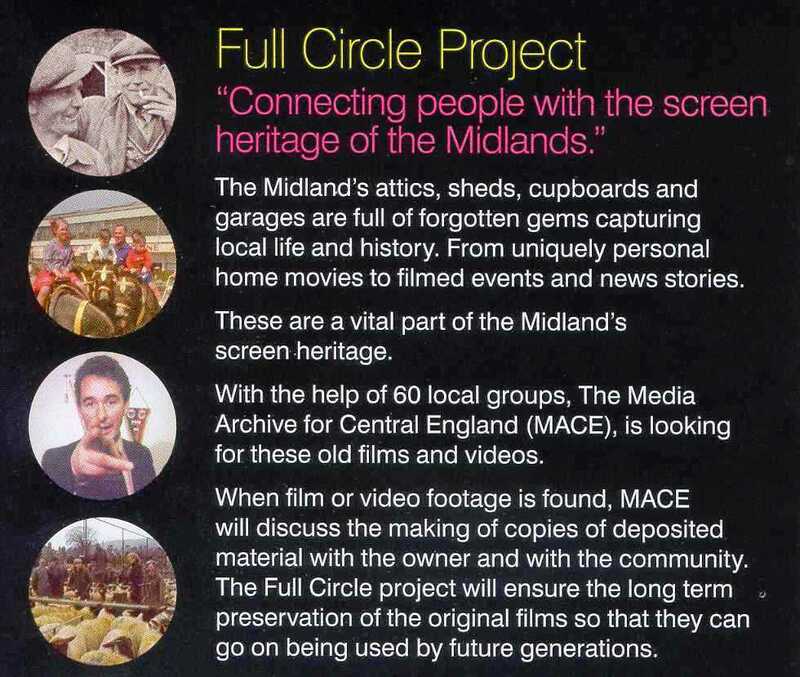 As part of the Full Circle Project I am looking for old coalmining footage from the coalfields of the East Midlands. Already several useful clips have been identified and the first batch have been deposited with the Full Circle Project. 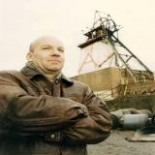 The first batch is footage from 1992 at Bentinck Colliery in Notts and shows the demolition of the last chimney from the old steam winders plus the filling in of the last shaft at Bentinck – the No. 2 shaft. With the extensive work schedule this should be copied in May 2011. The aim of the project is to identify footage which can then be used by community groups and educational purposes. Anyone with any mining footage can contact the MuBu miner on 01773 760030 or david.amos99@ntlworld.com or look for the MuBu miners Facebook page.